have unveiled Stella recently. It resembles a squashed, wingless airplane, with the capacity to seat four people, a trunk, intuitive steering and solar panels on the roof that will provide power for a range of 600 kilometers (373 miles) per charge. 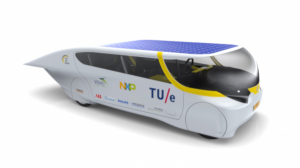 Stella is one of the solar car entries in the new Cruiser Class of the World Solar Challenge, with the goal being practicality rather than speed, reflecting the growing interest in commercially viable solar cars. 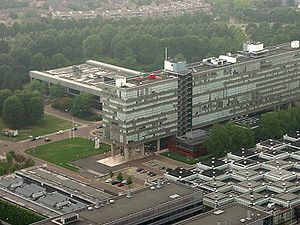 A team of 22 students from the Eindhoven University of Technology of Netherlands, was responsible for the creation of Stella. Stella has an aerodynamic design using light weight material such as carbon fiber and aluminum. It will be getting the official certification for road use, becoming street legal and be ready for sale in Europe. This entry was posted on Monday, August 19th, 2013 at 1:00 AM	and is filed under Events. You can follow any responses to this entry through the RSS 2.0 feed. You can leave a response, or trackback from your own site.